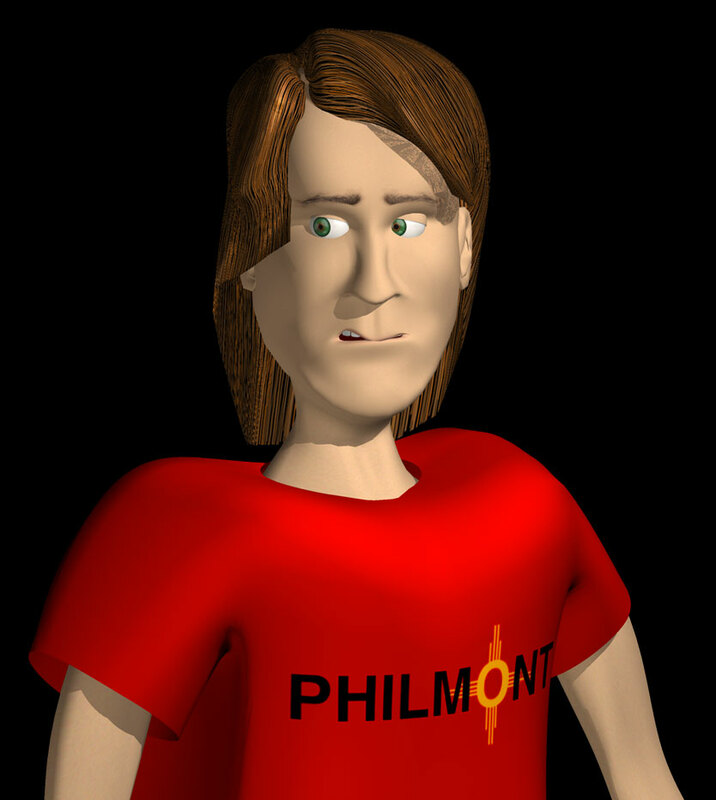 The Resources Narrator was my first real attempt at creating a passable human using 3D modelling tools. He is set up to display a wide variety of facial expressions, as well as blinking eyelids and full lip-synch. Many people who have seen the project have told me that he looks like me, and I guess he does. When I was modelling him, I was using a mirror and my own face to get the proportions right. This model is NURBS based.